At Granite Trails, we know that adventurous activities can be extremely beneficial to a young persons upbringing. 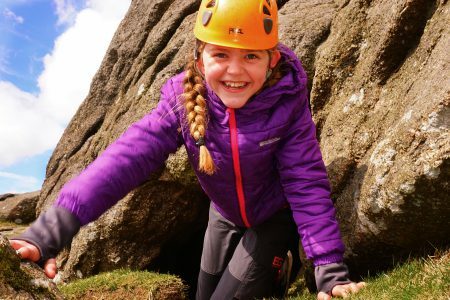 They can improve confidence, physical and mental health, ability to work with others and inspire lifelong love and respect for the outdoor environment. This is particularly relevant to young people who don’t participate often in traditional games and sports. Our approach to working with young people is simple. Experienced and well qualified staff, who will help young people to realise their potential in fantastic places. Source to sea river journey on foot and mountain bike. Glacial feature studies in Snowdonia or the Lake District. River survey with a Tyrolean crossing (improvised zip line). Neolithic and bronze age site visit on Dartmoor, navigating with map and compass. Survey plant life through a range of different habitats, and at different altitudes. 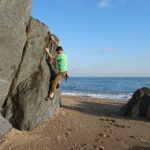 Get to grips with different rock types by climbing them, in Devon we can climb on 3 different rock types in one day! Remember, everything we do is bespoke for you. So if you don’t see exactly what you’re looking for, get in touch and we can help.